SolarSync sensor (GLS-LCCT) has correlated color temperature (CCT) technology and a luminous intensity meter (lux) to measure the exact color temperature and luminosity of ambient sunlight when mounted outdoors or in an area exposed to plenty of natural light. A Crestron lighting control system then syncs the indoor lighting fixtures to the CCT and lux values recorded by the sensor, mirroring the daylight. 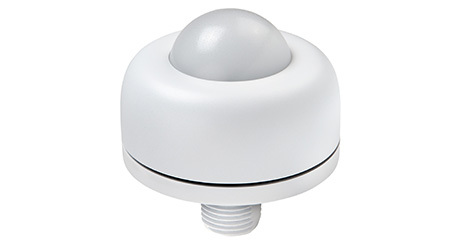 The IP67 rated housing contains built-in heating elements that prevent snow and ice from accumulating on the dome of the sensor, ensuring reliable operation year-round. SolarSync also has manual mode or inclement weather dead band settings to maximize the best lighting effect at all times.